Compact and low cost single stream AAC audio and H.264 video encoder for recording and streaming compressed audio/video. The compressed video may be recorded on a USB drive or internal micro SD card. Or it may be live streamed as RTSP stream. The E112 is the new version, which has both HDMI connector for in and out on the same side. 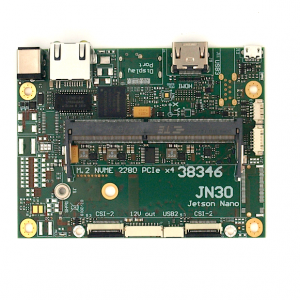 The optional wifi module features ist own 400 MHz MIPS processor to perform networking, transmuxing or custom functions. It can transmux the RTSP stream of the E110 into an RTMP stream or other protocols. As the video is only transmuxed and not transcoded the processor load is fairly low. This set is shown on the left. 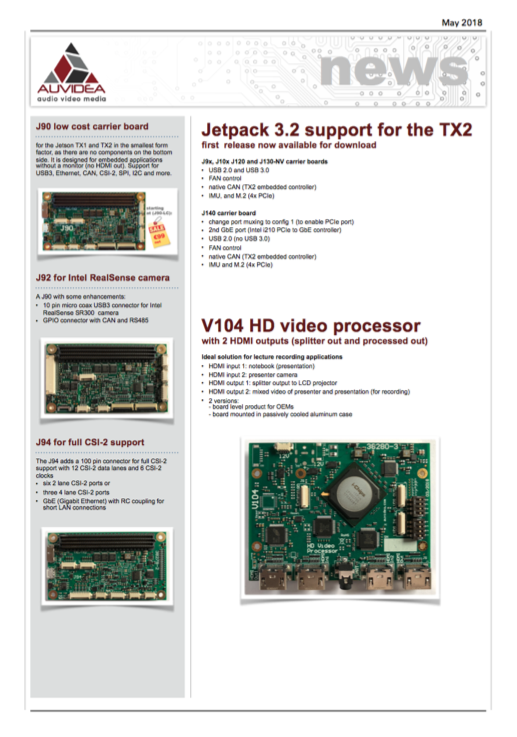 The E110 is either a video encoder or a video decoder. In the video encoder mode it captures an HDMI video source with audio, compresses it with the H.264 (MPEG 4 AVC) video codec and stores it as MP4 file on the USB drive or transmits the encoded video live as an RTSP stream. In the decoder mode it receives an RTSP stream, decodes it and outputs the video on the HDMI output. 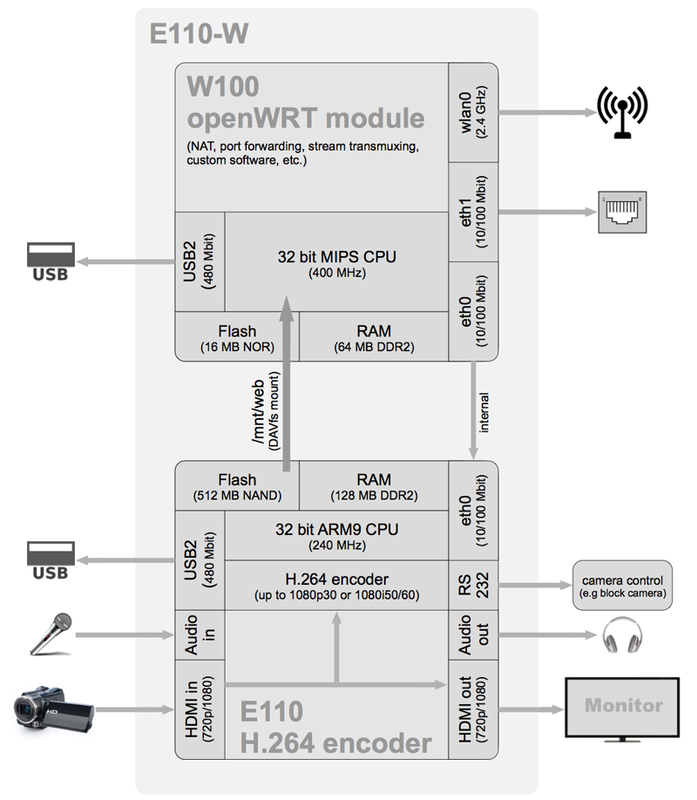 The block diagram above shows the E110, which is the E110 encoder with the W100 add-on module. 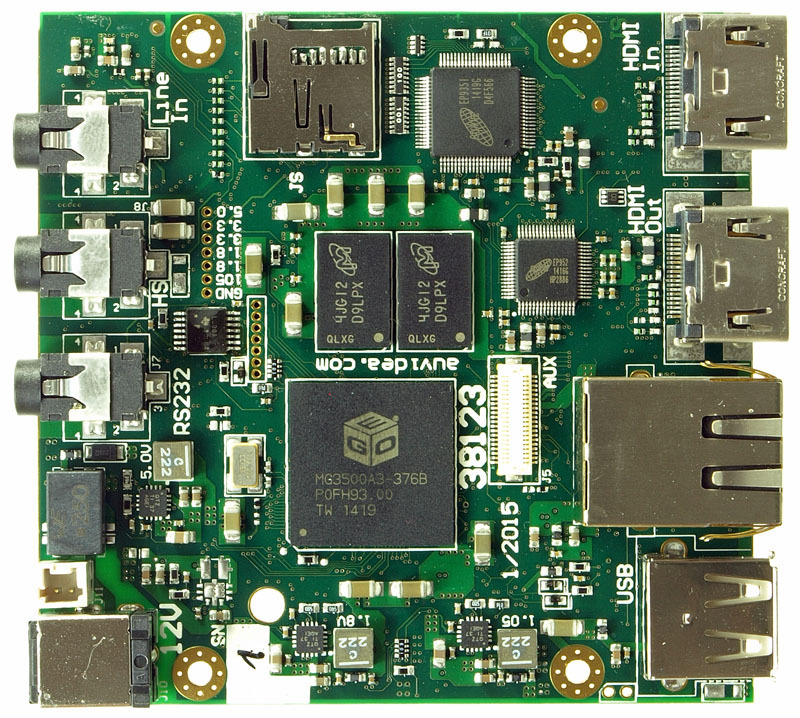 These 2 modules are interconnected internally via Ethernet. 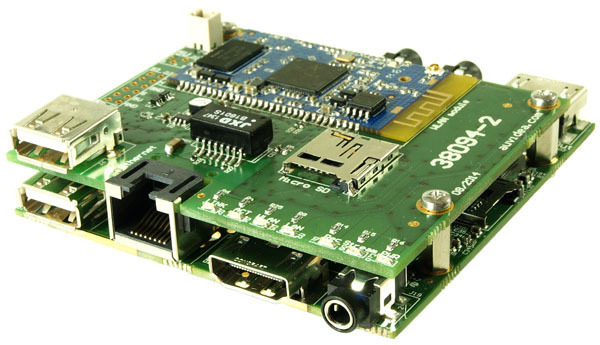 The W100 openWRT module provides various networking functions including network address translation and port forwarding. On the WAN interface (eth0) both devices are mapped onto a single IP address. The E112 is very similar to the E110. However it has both HDMI connectors on the same side, to ease system integration. And it features 2 power connector for internal and external powering. The 40 pin expansion connector provides the connectivity to various add-on modules. 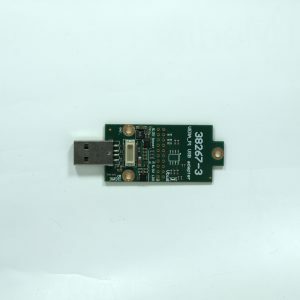 It features the following signals: I2S audio bus, serial port, I2C control bus , reset, SPI bus, power (12V, 5V, 3.3V), 10/100 Mbit Ethernet interface, 3 PWM outputs. Up to 8 text strings in 3 font sizes (8, 16 or 32) may be overlaid over the video. The x/y position is programable. Each string may have a length of up to 24 characters. One string may show the time code with frame counter. The HDMI input to this encoder must not be copy protected with HDCP. Some camcorder models and DVD players enable HDCP by default. This encoder will not be able to capture any video content, which is copy protected with HDCP. Sony camcorders are typically not supported as they output the HDMI video with HDCP protection. Panasonic camcorders are typically fully compatible, as their output is not protected with HDCP. Models tested: HC-V100, HC-V110, HC-V210, and HC-X929. This shows an E110 encoder and a E110 decoder both with the wifi add-on module (W100). The E110 encoder encodes a 720p30 video and sends it directly via the 2.4 GHz wireless network to an E110 decoder. The latency is 3 or 4 frames which equals 100 to 133ms. The number in the third row is the frame counter. The left screen shows the decoded video. The right screen is the HDMI loopback output of the encoder. You can see that the decoder is 4 frames behind (101 vs. 97). With a direct Ethernet connection the latency will be only 66 to 100ms (2 or 3 frames). The RTSP stream may also be received by software players. There the latency is typically from 500 to 2000 ms, depending on the buffer size set. The HDMI video source is connected to the E100/E110 HDMI video input. The encoder compresses the video with its integrated H.264 encoder (high profile = excellent video quality). Then it packages the compressed video into an RTSP stream and sends it out on its 10/100 network interface to any device requesting this video. This stream may be played with player such as VLC or Quicktime. Just enter the URL: rtsp://<ip-address>:554/<stream-name>. Also the stream may be received by another system to transcode the stream or to process it. The RTSP may be send to local players and servers. As it is a pull stream, it does not support sending the stream to public streaming servers on the Internet, as it cannot cross routers with NAT (network address translation). If you need to stream to the Internet, please send the stream to a local protocol translator to convert the streaming protocol to RTMP or similar protocols. Please have a look at the Wowza server, VLC or FFMPEG for the protocol translation function. 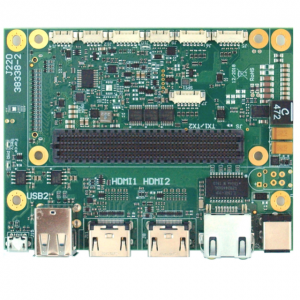 Also compact computers such as the Raspberry Pi may be used for protocol conversion or transmuxing. A transmuxer converts one streaming protocol or video file to another stream protocol or video file. In the transmuxing process the video and audio are not decoded or encoded. The audio and video data is just repackaged. As no computing intensive software is involved, the transmuxing may be performed by little processing resources. The picture above shows the E110-W in an aluminum prototyping case with plastic front and back plates. These front and back plates are laser cut and can easily be customized. This is economical even for small production runs. Please ask for a quote. Up to four E110 encoders may be mounted in a 1 RU rack mount case. 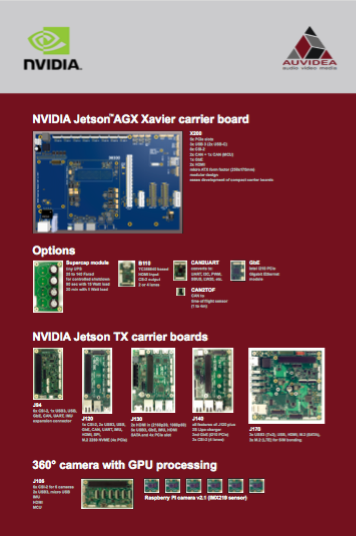 The encoding boards are interconnected by a network and power backplane board. The interface board on the left provides a common 12 V power input for all encoders as well as the 10/100 Ethernet port to the outside. 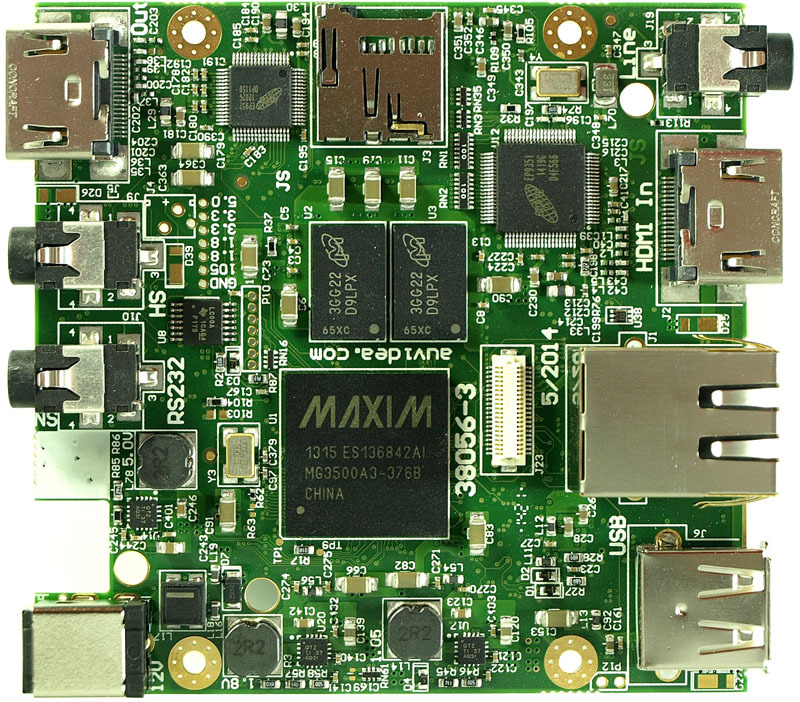 A 5 port Ethernet switch (openWRT based) is integrated on the backplane board. This rack mount case is currently in design. RB-Ultra is a video decoder application. 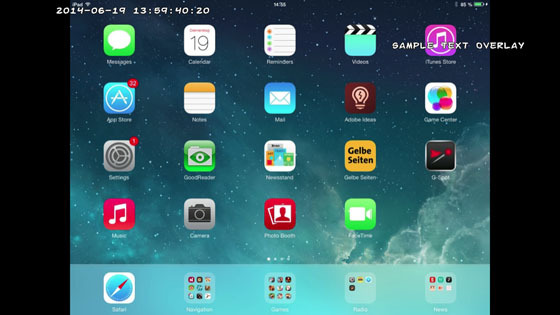 The RB-ultra application supports fullHD 1080p (1920×1080) video playback with the help of the the powerful iPad and iPhone embedded graphics engine. With the hardware decoding support, you can now watch several hours of live streaming. It can receive the RTSP stream from the E110 directly. It features a very low latency which can be set from 100 to 1000ms. Link: Get it here in the iTunes store. 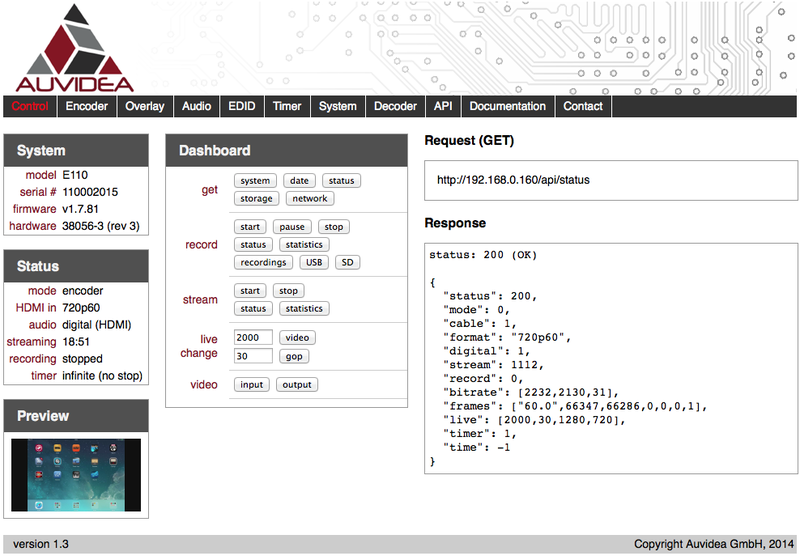 A HTTP request API allows to remotely control the E110 and to do status monitoring. The web GUI exercises this API to provide easy access to the various functions and properties of the E110. It is planned to continue to add functions to the API. 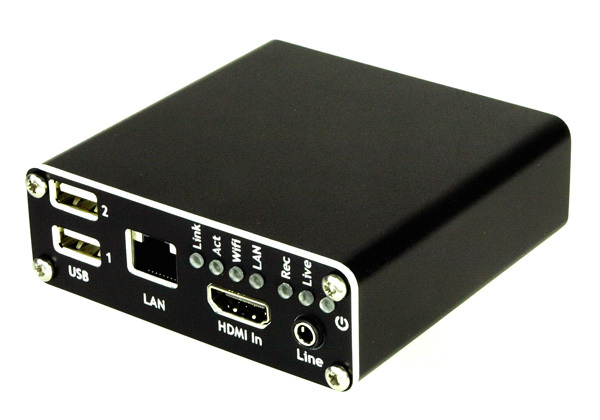 The integrated timing analyzer allows to determine the timing parameters of the HDMI video input signal. This is very handy for the automatic configuration of the video processing software. For the printout below, a 720p60 video source was connected. The API function call get_input_timing retrieves the data below in JSON format. Also the AVI info frame and the audio info frame are captured. The web GUI issues once a second an API call (/api/status) to retrieve the status of the E110 encoder. This data may be used to plot a graph with the audio and video encoding bandwidth. The example below shows that the video bandwidth may be changed while streaming live, to adopt to to bandwidth, which is available on the upload channel. Please monitor whether any data packages are lost and adjust the video bandwidth accordingly. This is a very unique feature. Please refer to Company > Purchase for pricing info and purchasing options. For internal power routing the E110 may be equipped with a compact 2 pin power socket. It also comes with a 150mm power cable and the corresponding 2 pin power connector (TE 292207-2).